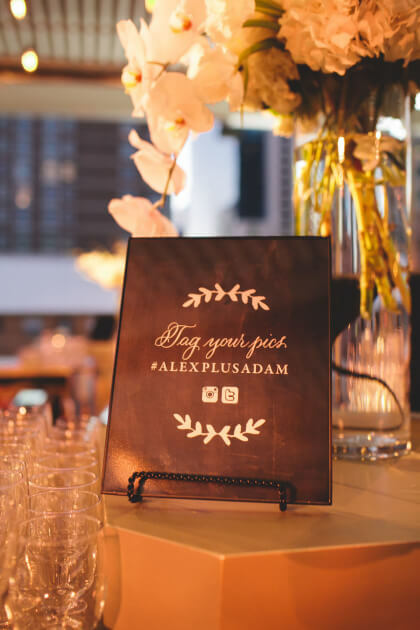 PERFECT PROPOSAL: While vacationing in St. Thomas, Adam proposed to Alex during a spa day on the beach. 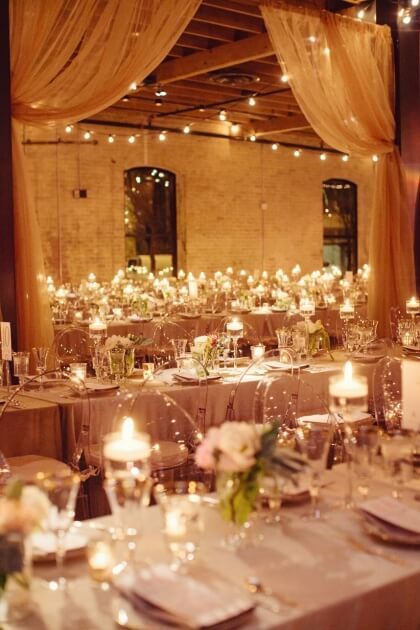 She was one hundred percent surprised. 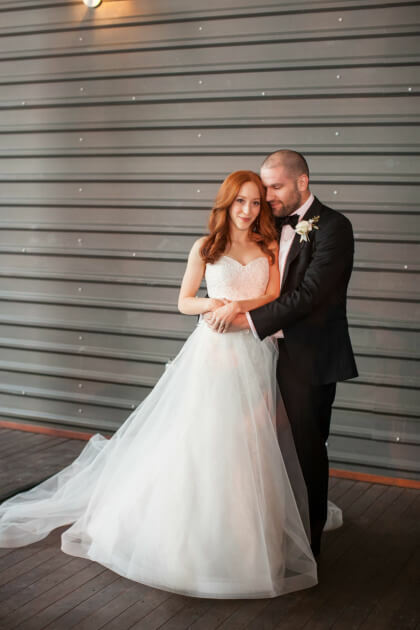 Both of their families were there on vacation with them, making it even more special. 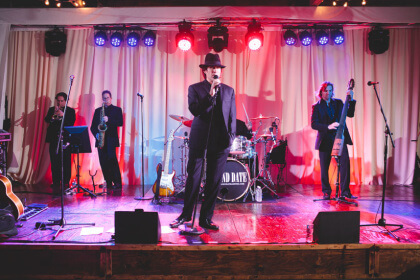 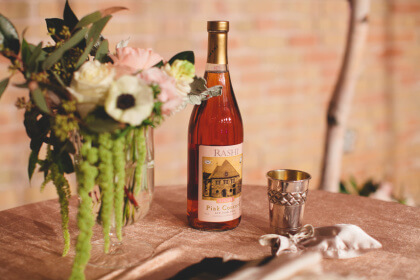 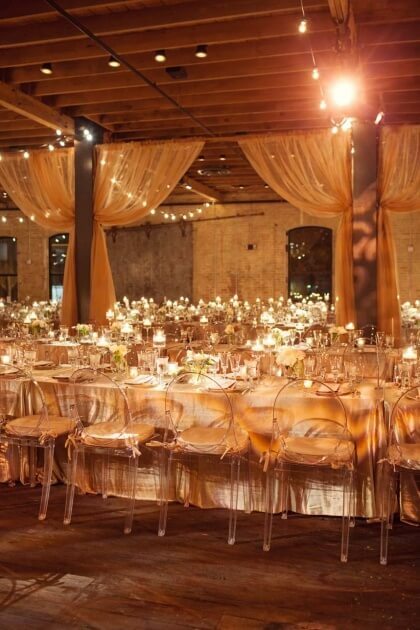 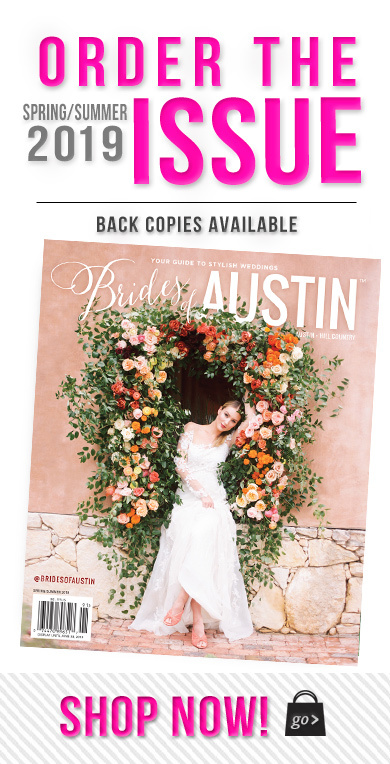 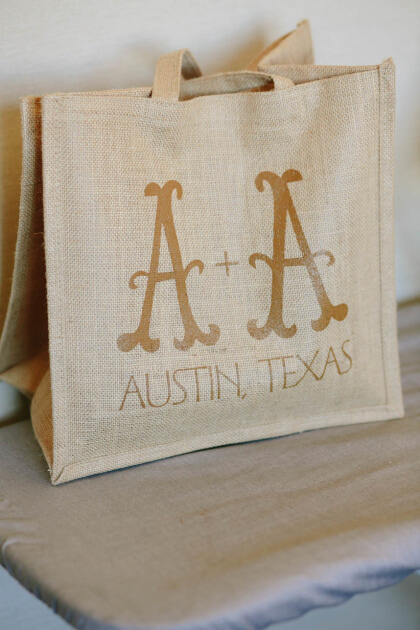 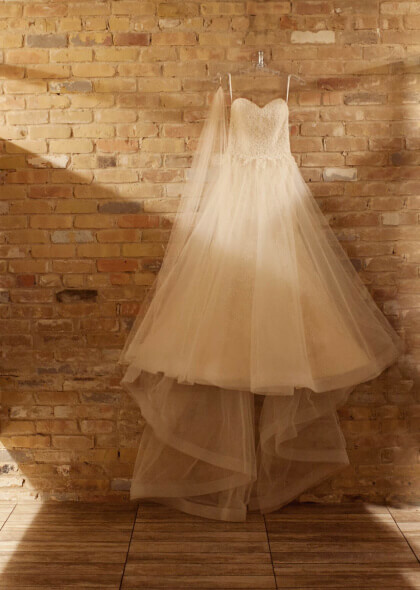 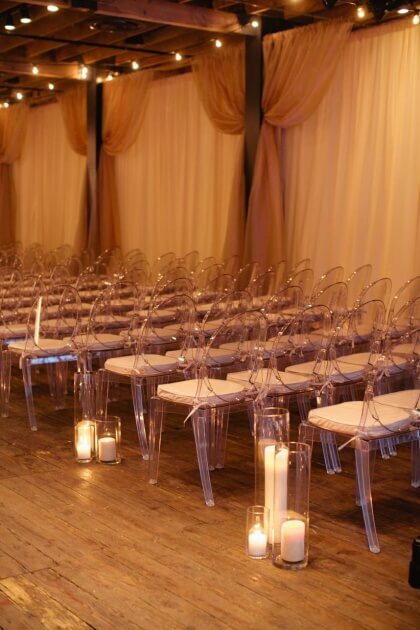 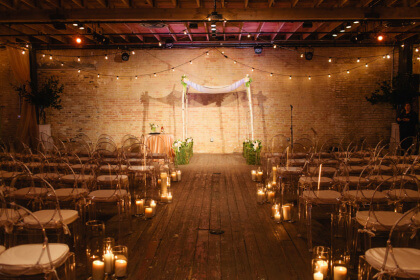 THE SETTING: Brazos Hall was the only venue Alex and Adam considered when they decided to get married in Austin. 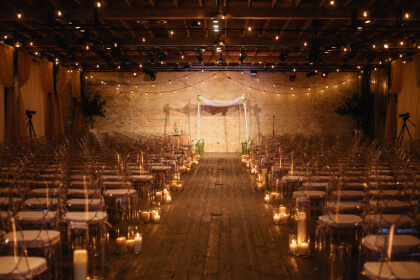 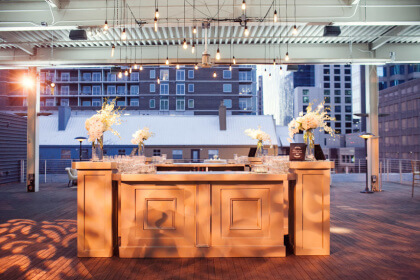 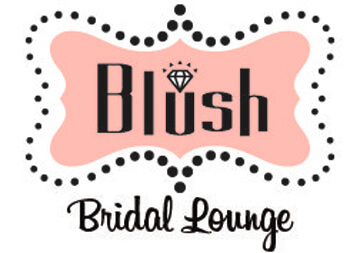 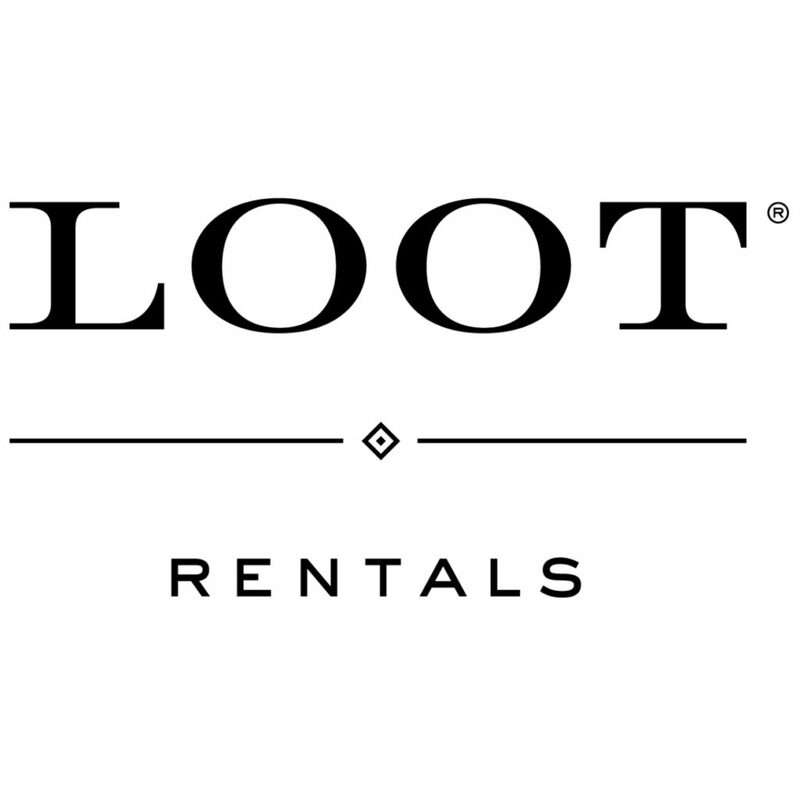 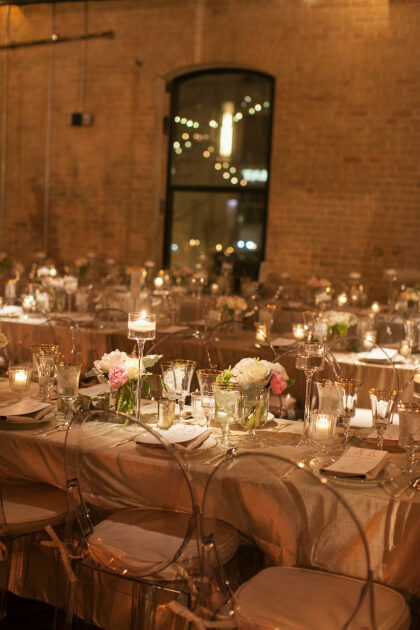 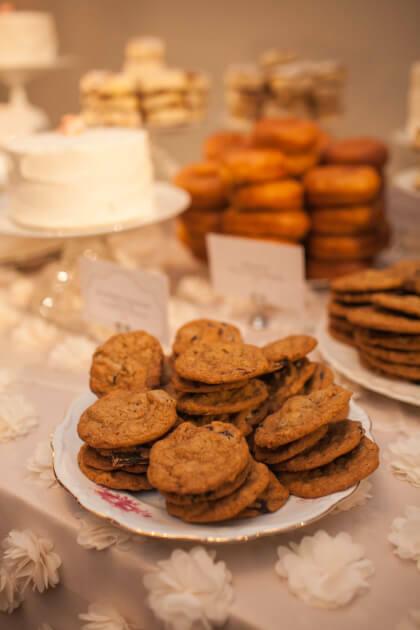 The venue has a warm, cozy feeling with rustic details, yet it is a large, blank canvas that allows for so much flexibility and creativity. 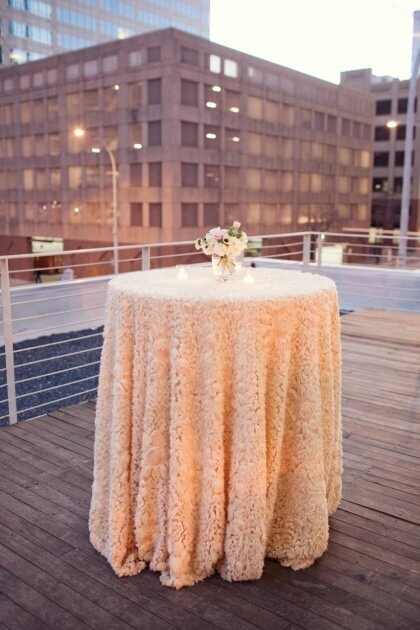 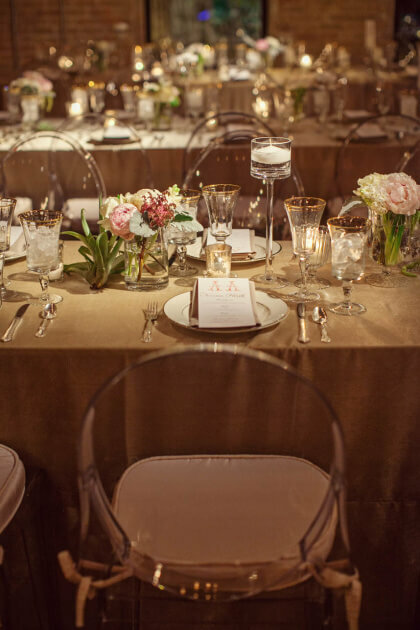 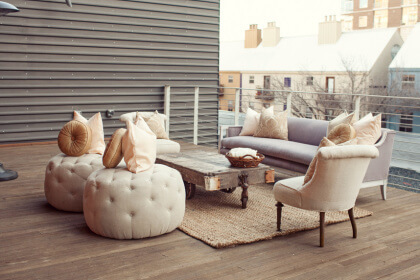 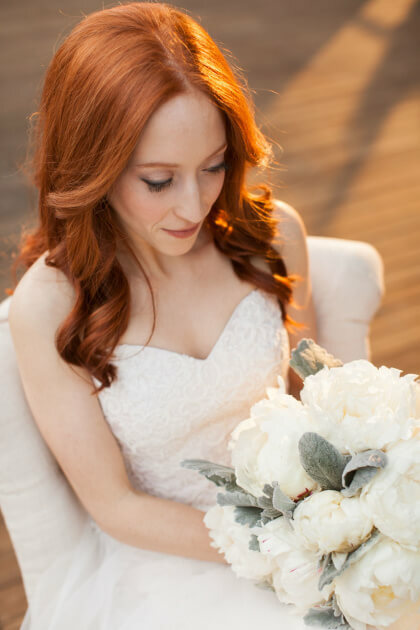 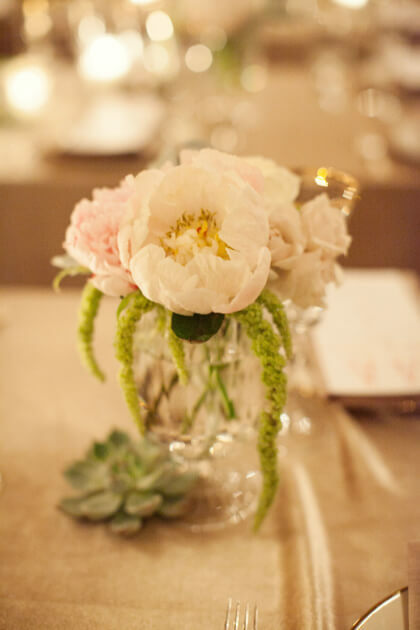 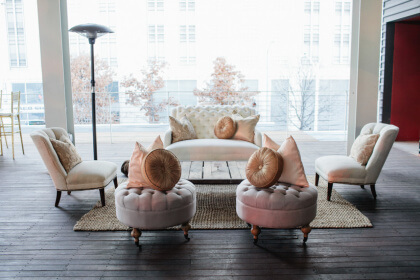 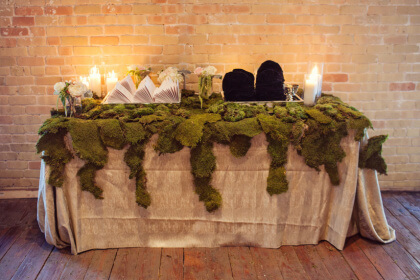 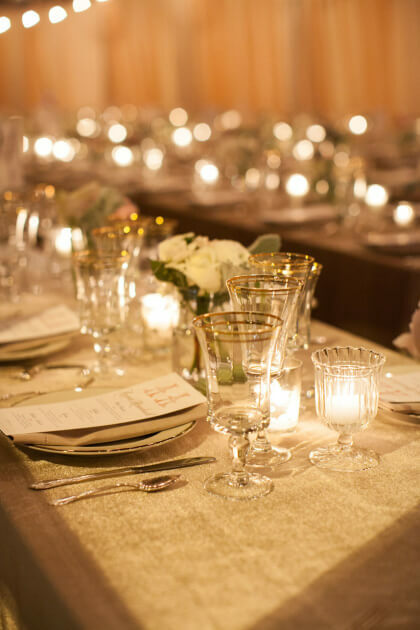 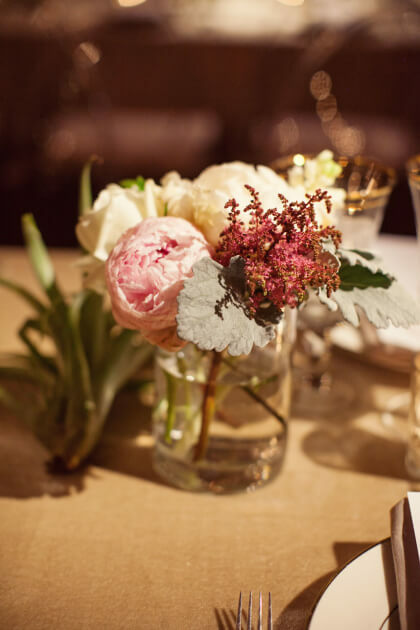 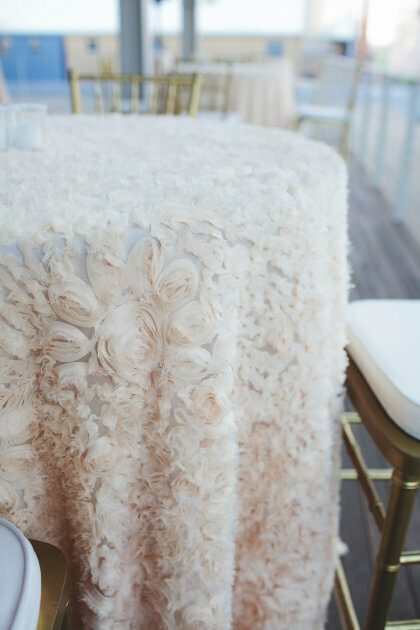 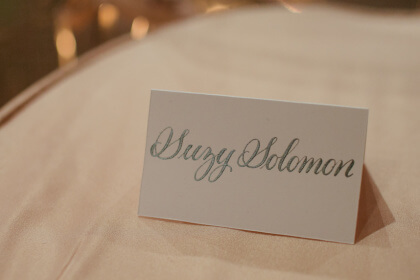 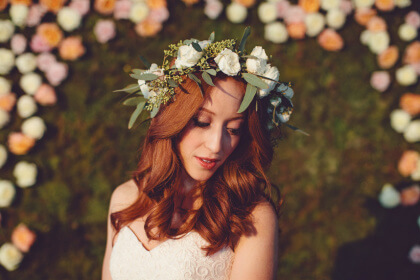 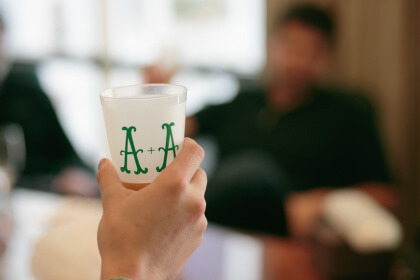 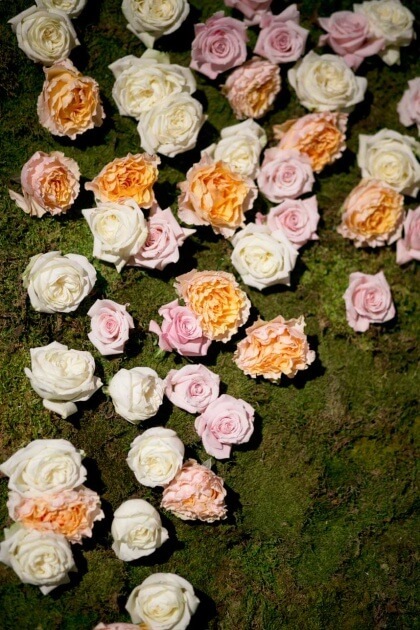 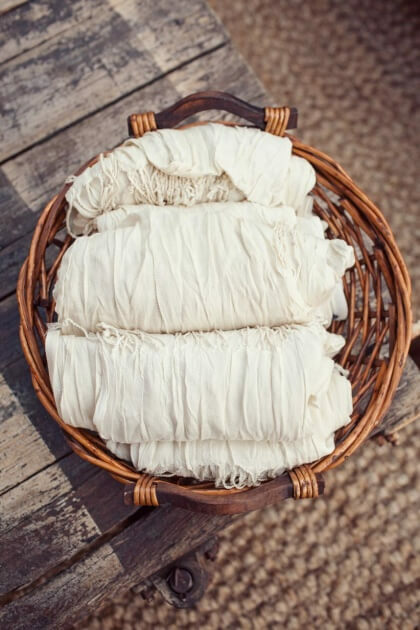 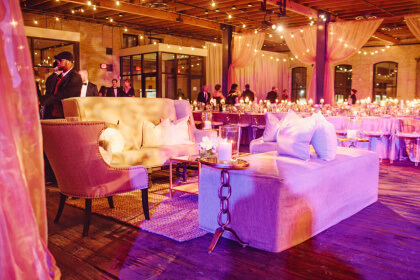 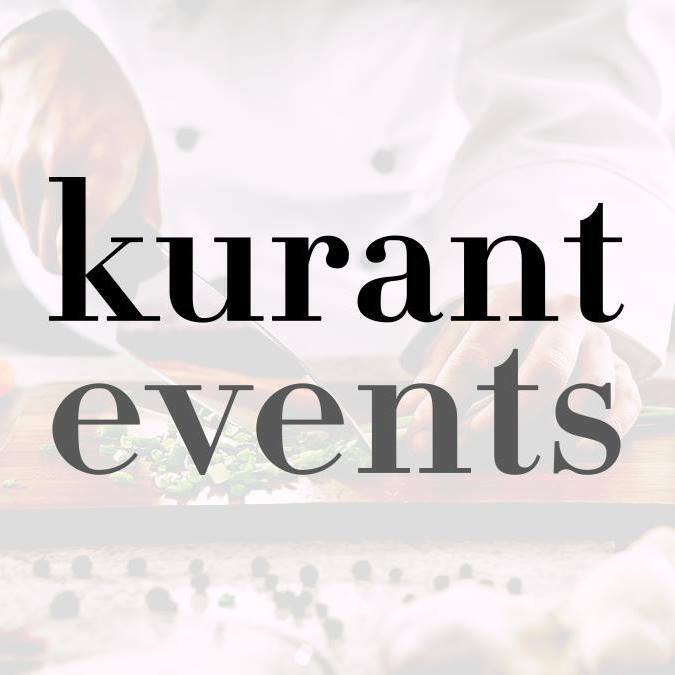 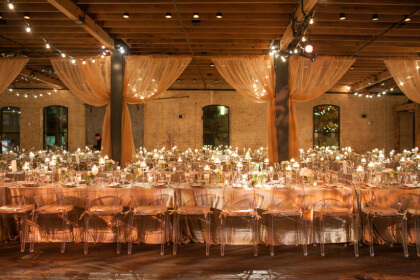 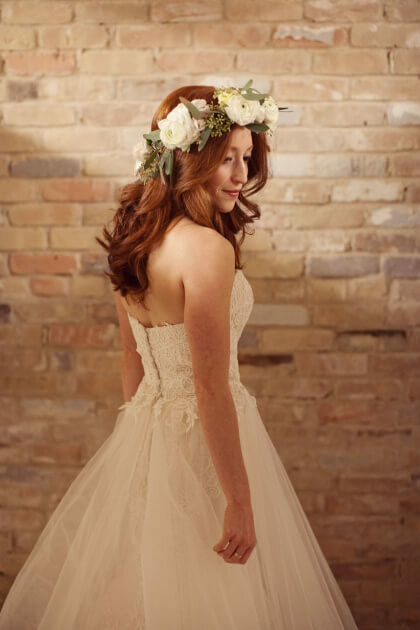 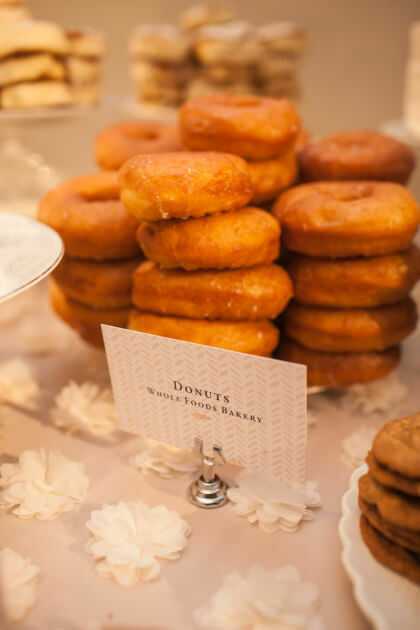 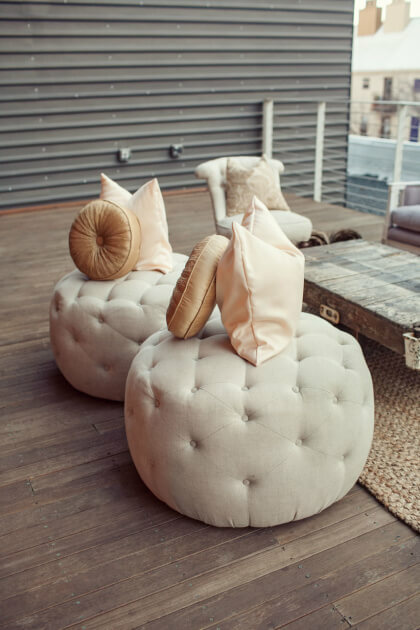 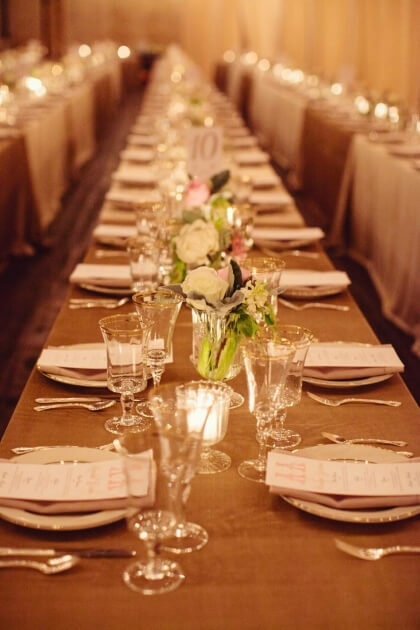 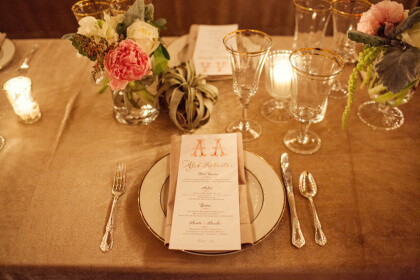 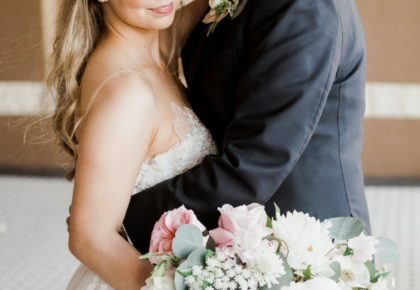 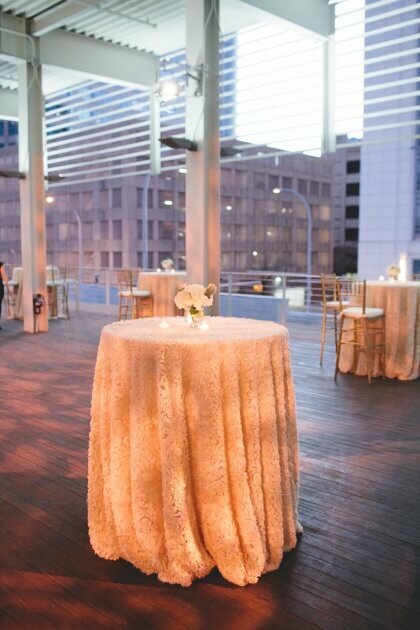 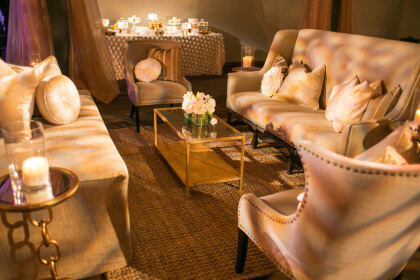 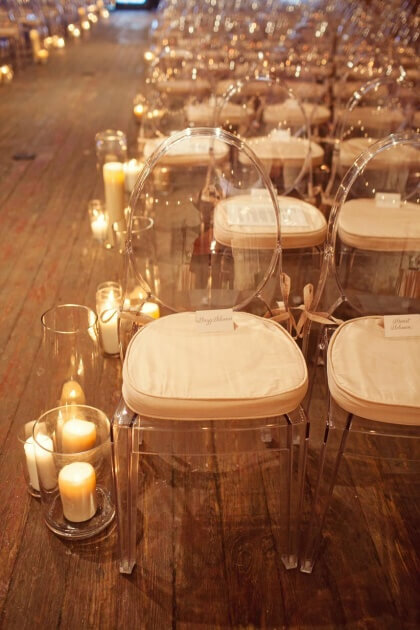 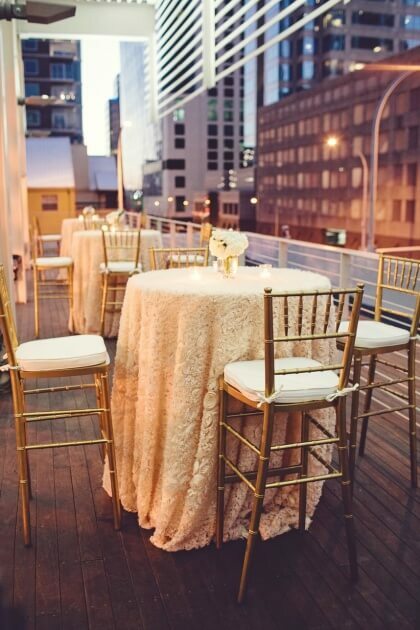 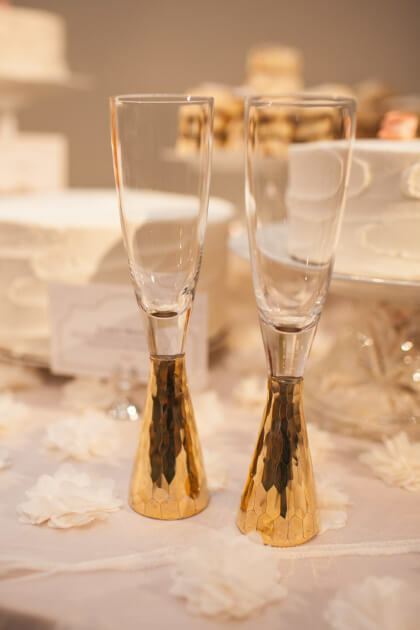 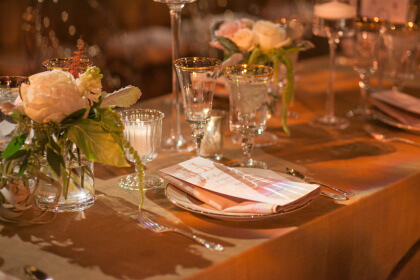 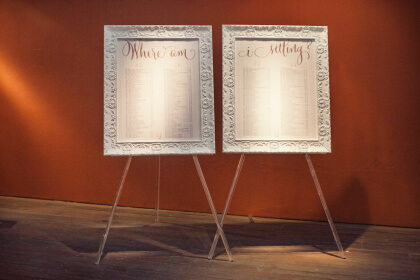 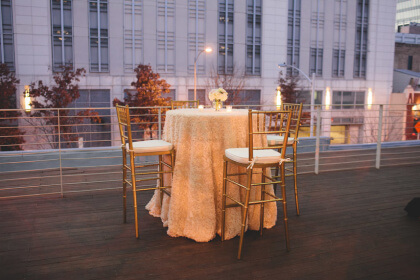 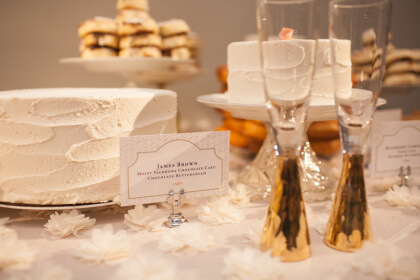 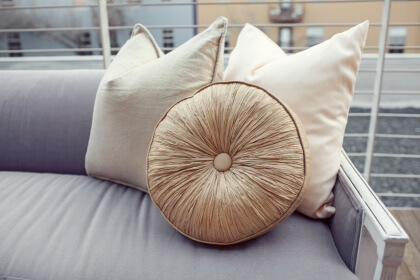 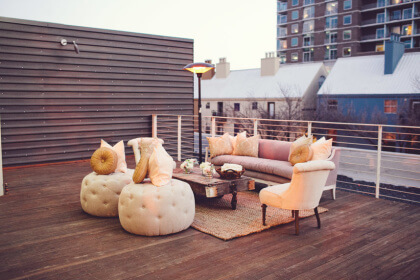 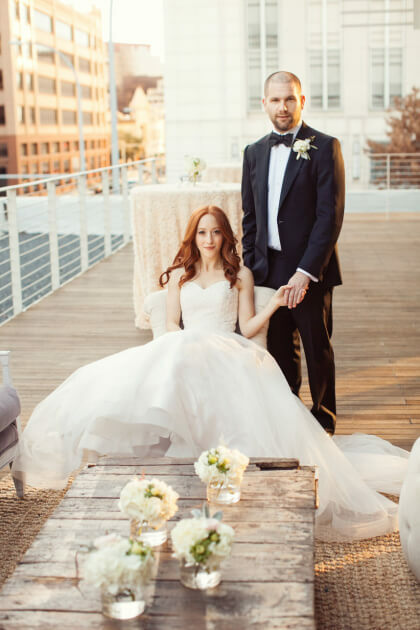 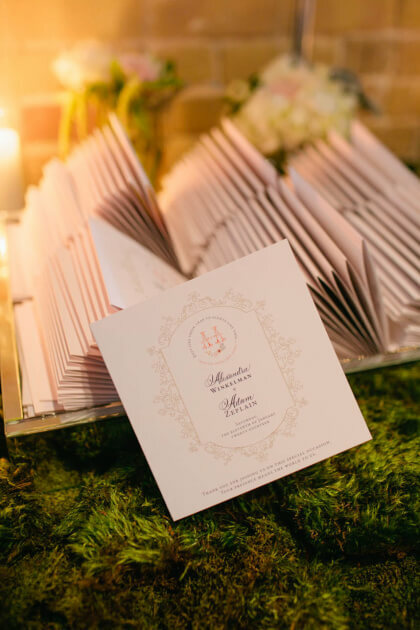 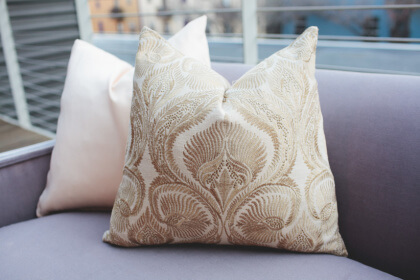 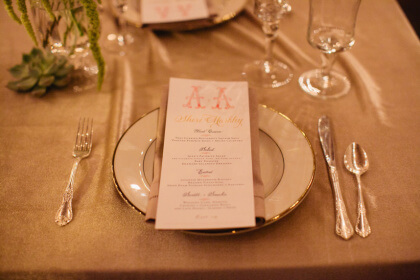 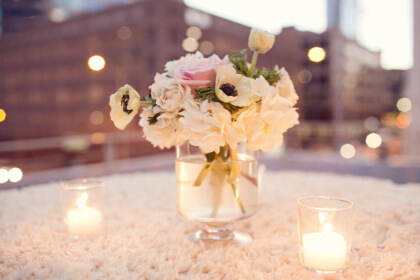 HUES SHE USED: Alex and Adam created an event of neutral and warm colors. 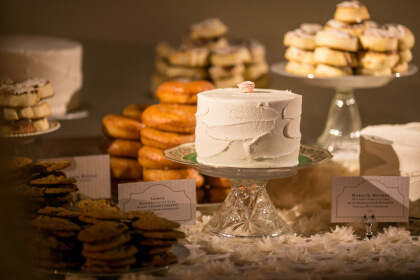 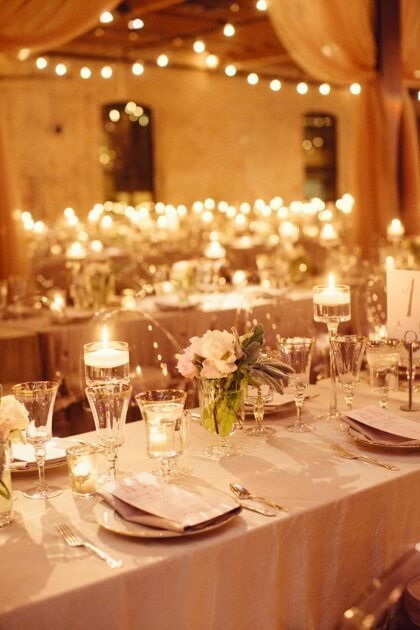 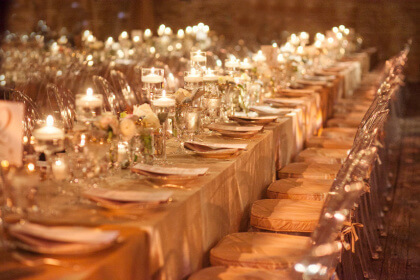 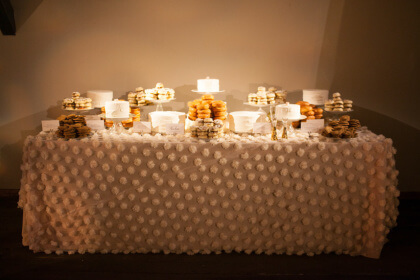 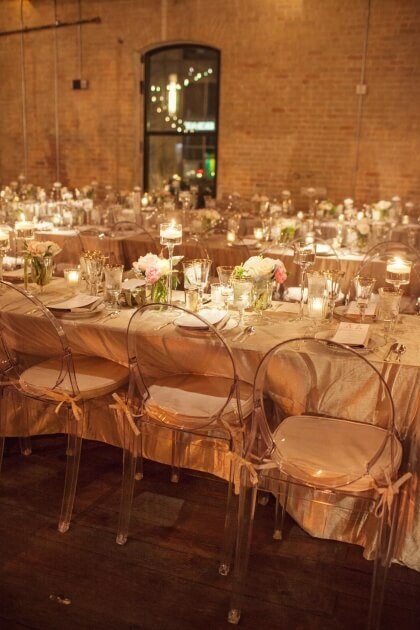 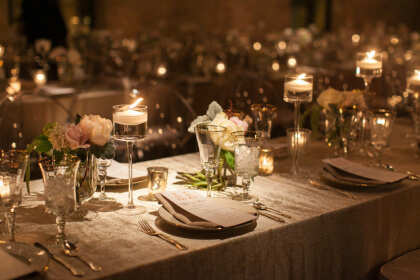 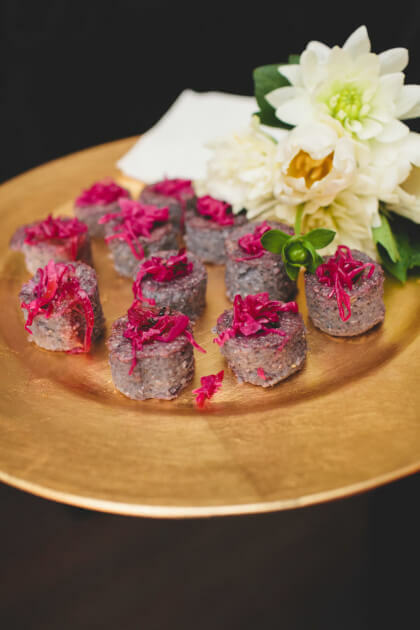 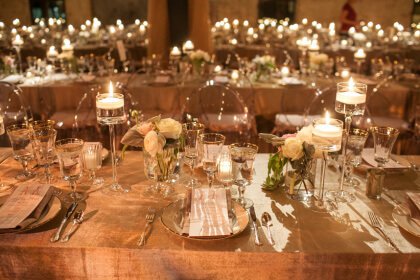 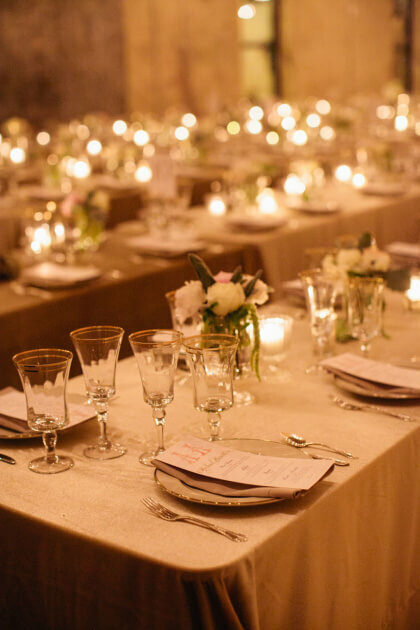 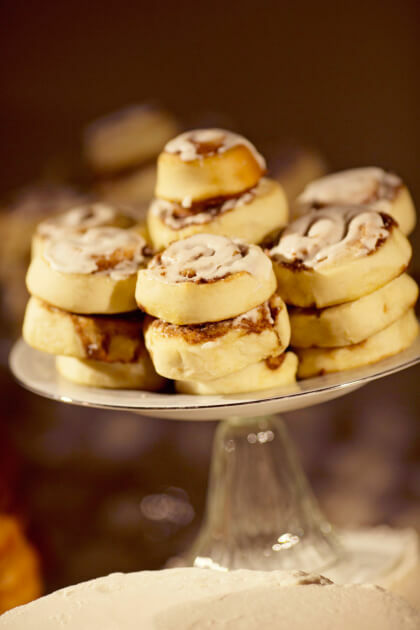 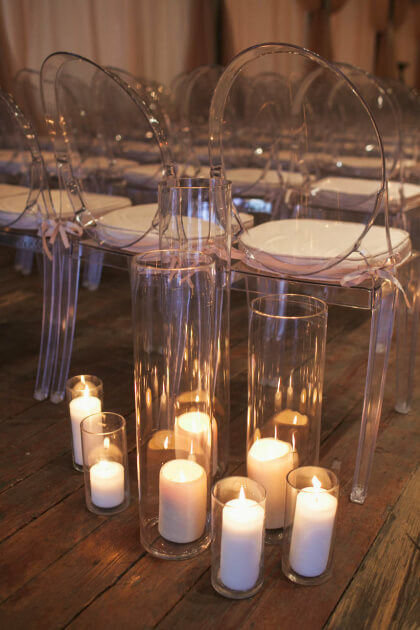 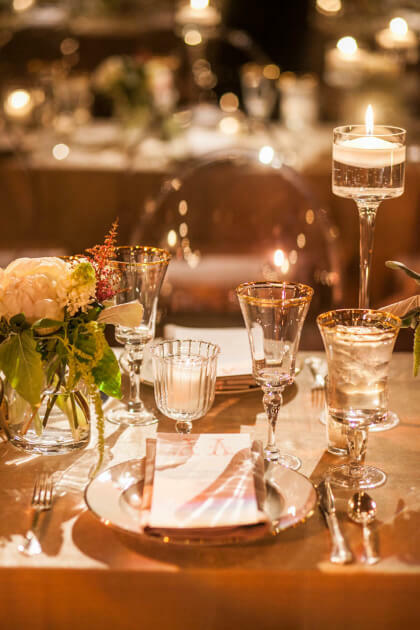 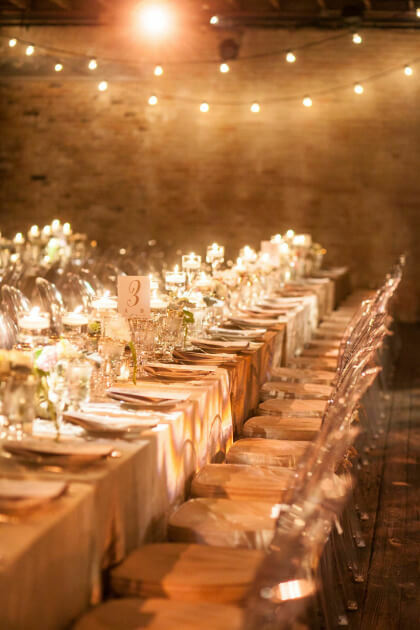 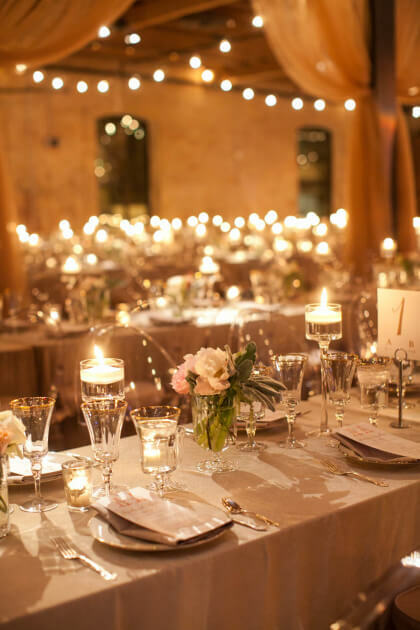 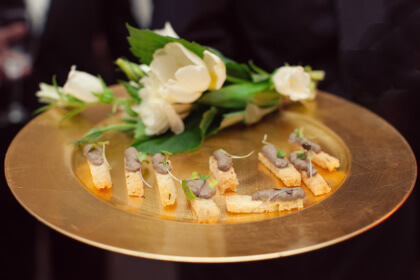 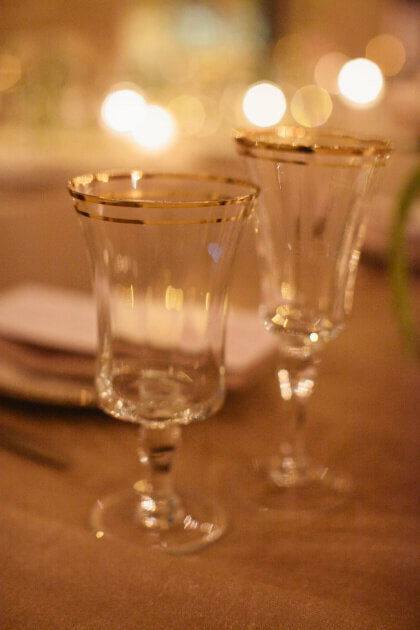 They imagined a romantic and whimsical affair with long candlelit tables. 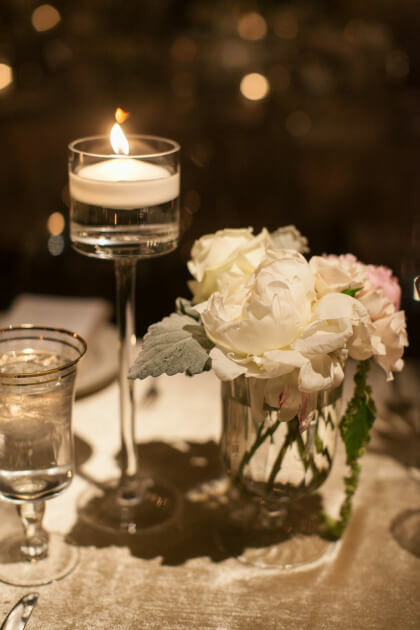 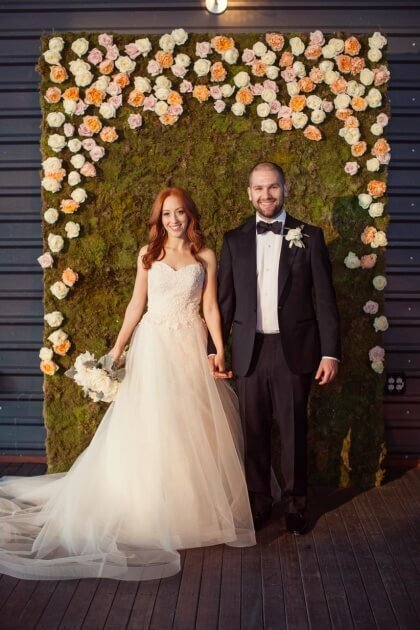 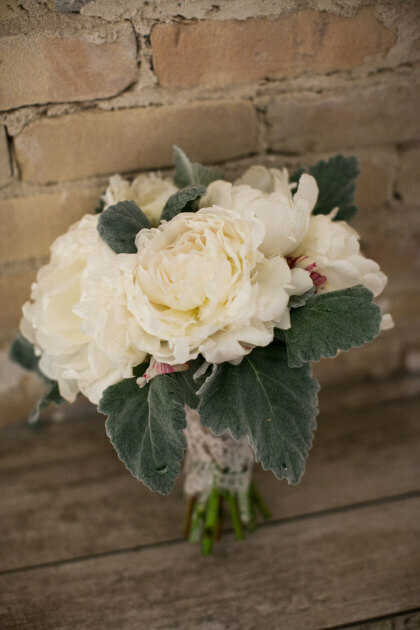 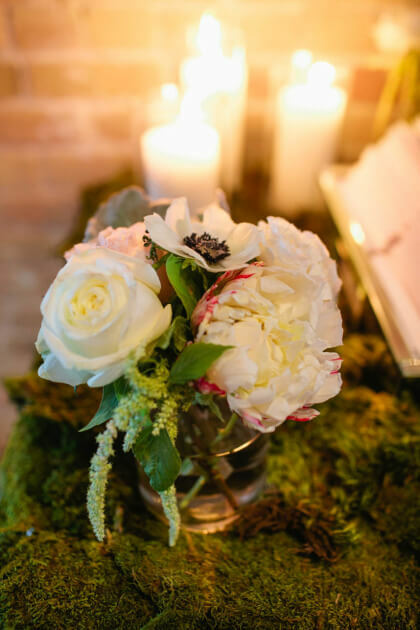 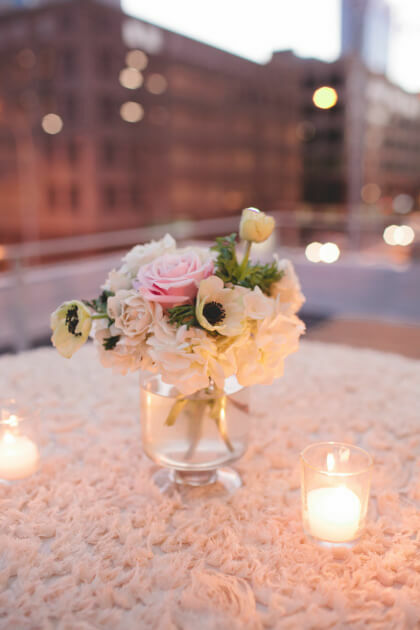 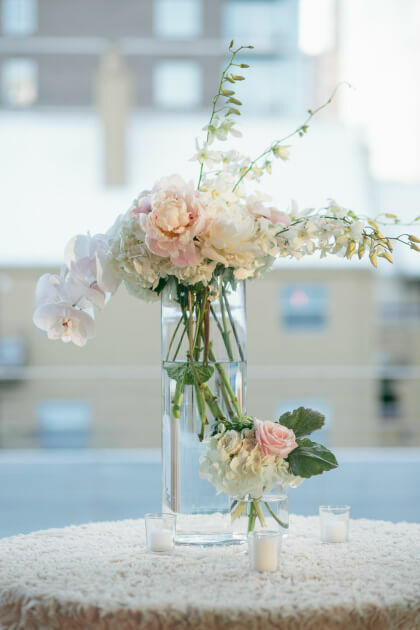 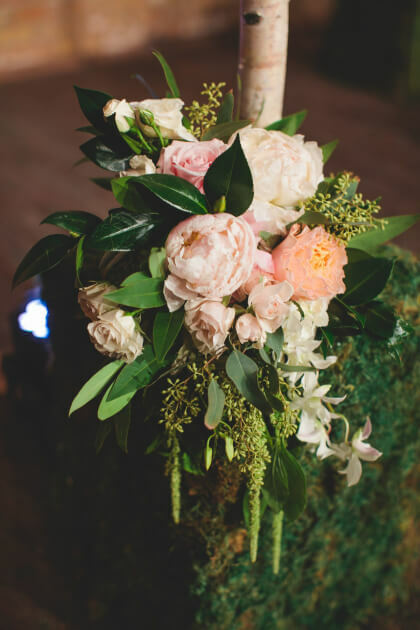 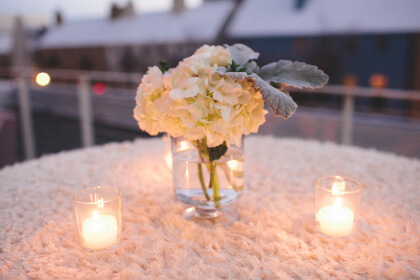 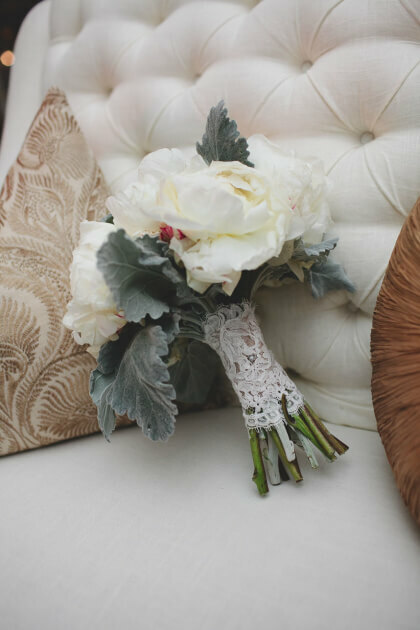 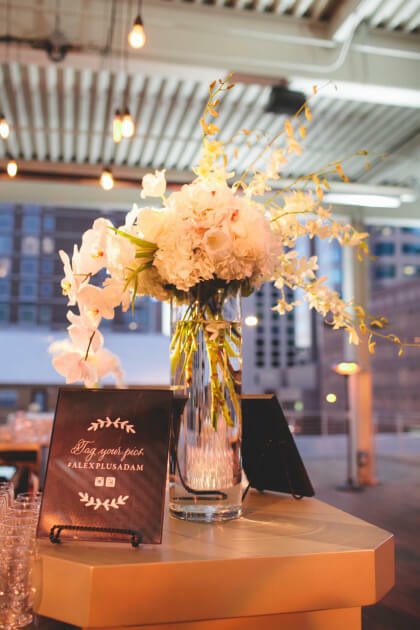 Adam and Alex both love white flowers and neutral colors and wanted to keep the details simple yet gorgeous at the same time. 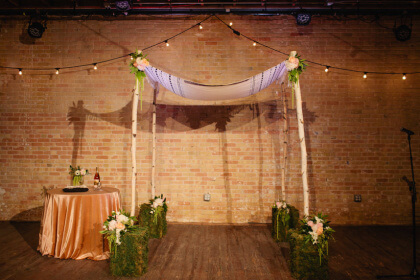 AMAZING ALTAR: They were married under a traditional Jewish chuppah. 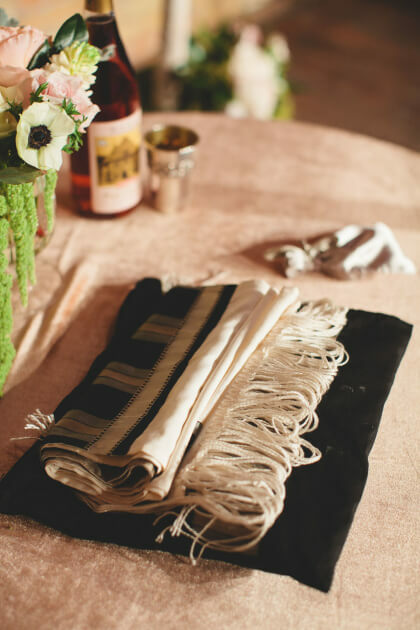 The fabric used on the top was a family tallit from the groom’s side. 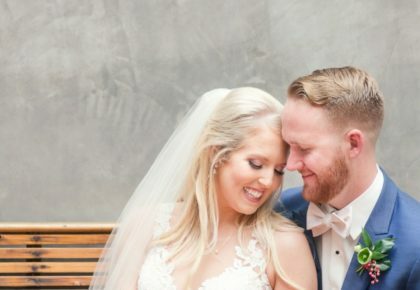 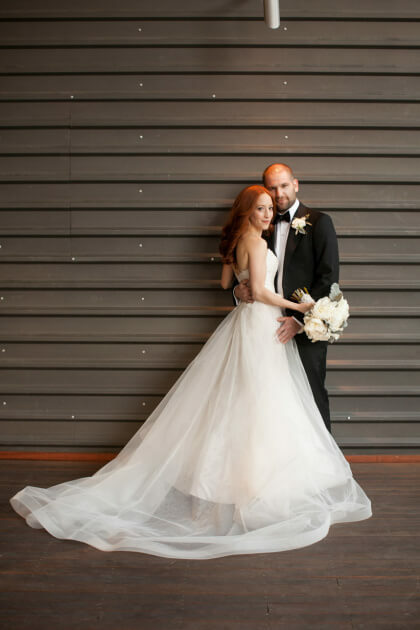 SAYING “I DO”: “To be surrounded by family and friends and with my parents on each arm, walking to my best friend Adam at the end of the aisle, everything in the world felt right,” Alex reminisces. 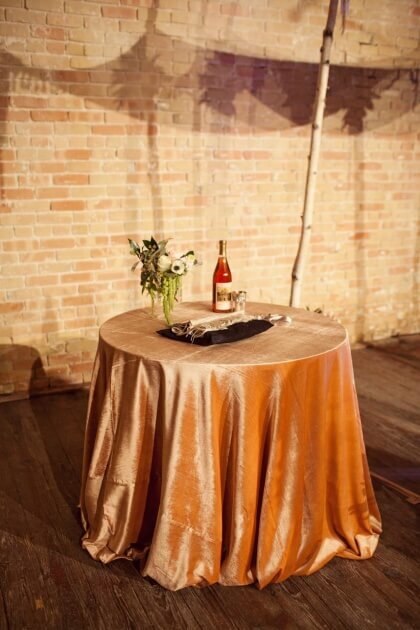 SPECIAL TRADITIONS: Alex and Adam’s ceremony was a traditional Jewish ceremony. 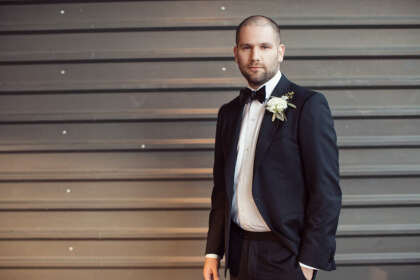 Alex’s wedding ring was an uninterrupted solid gold band with no diamonds, holes or details. 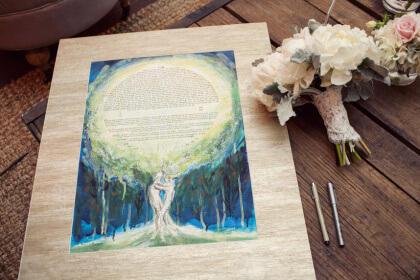 The continuity represents the hope for an everlasting marriage.